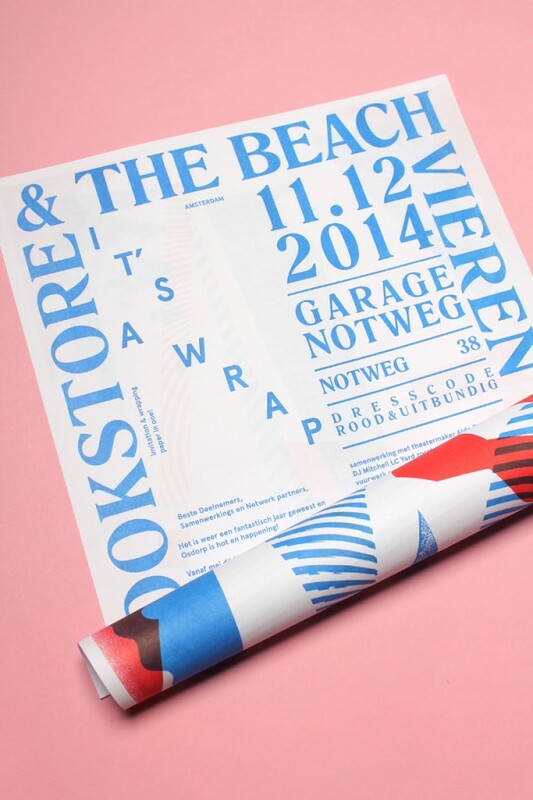 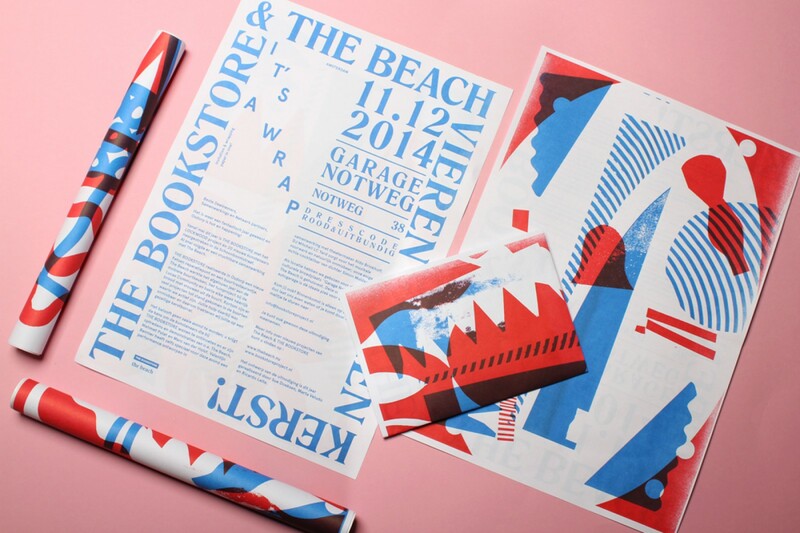 Risoprint invitation and wrapping paper in one – Christmas feast invitation for THE BOOKSTORE PROJECT & THE BEACH – with Ricardo Leite and Marta Veludo. 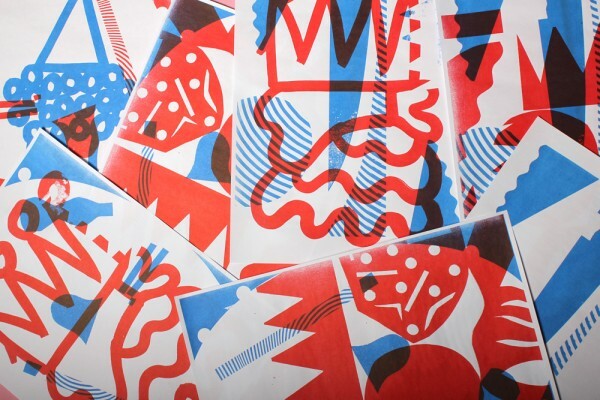 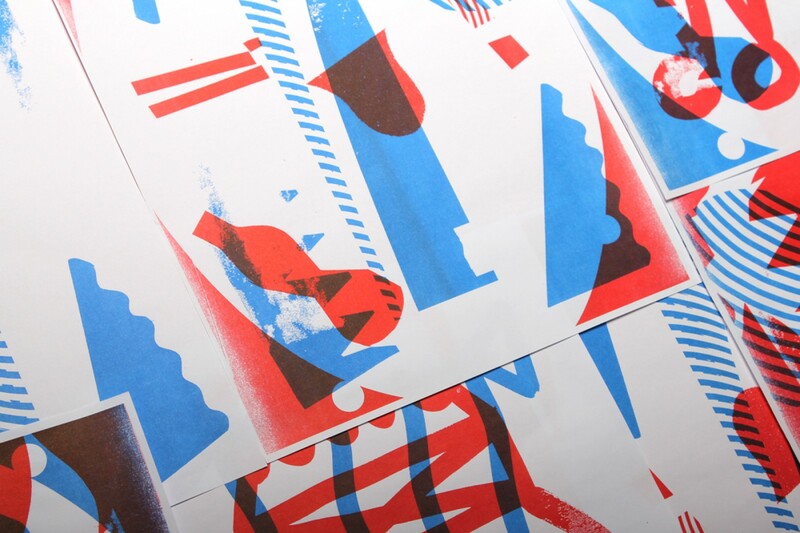 A mix and match of playful shape layers, fed to the risograph machine in different directions resulted in many random cheerful designs. 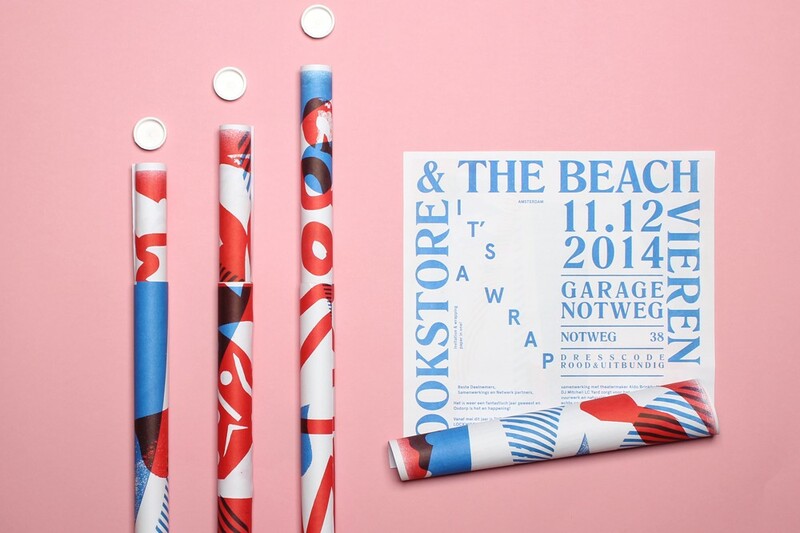 The 150 VIP invitations were sent in wrapped up tubes. 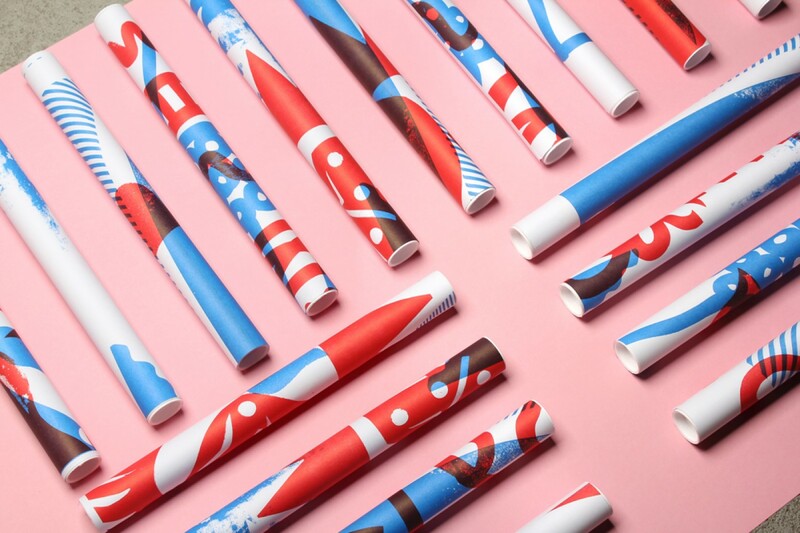 Photography by Marta.